Before I start this post I thought I should probably explain to you all what a spoonie is! I suppose since most of my closest friends are spoonies like myself I often assume that everyone knows what the term means but of course this isn't true! It comes from The Spoon Theory and from that arrived the word spoonie, people with health conditions, chronic pain, chronic illnesses etc will often refer to themselves as one. Some people like the word, others don't and that's totally OK. Personally I love calling myself as a spoonie and if I see the word in someones twitter bio or in a tweet then I automatically almost feel a bit of a connection, a mutual respect as I know what life can be like when you're a spoonie. If you want to learn more about it then definitely read the spoon theory! One of my 2016 goals was to talk more about my health and life as spoonie so I'm starting off a little series, similar to what I used to do a few years back. This will be a space where I can share updates about my health, how I'm feeling and anything spoonie related. I know that not everyone will enjoy these posts so I'm labelling all the posts the same thing 'spoonie update' so you know what posts to avoid if you wish to do so! So, this week has been a busy one and it doesn't end yet as I've got one more hospital appointment tomorrow before I get a break for at least a week or so. I had my first pain management appointment with my rheumatologist on Thursday, I waited for an appointment for about 8 months so I was hoping the wait would be worth it. It turned out to be a 3 hour long appointment, not all that was talking to the doctor but it was so exhausting and I've been suffering all week because of it. It turns out that it was worth the pain and fatigue though, she confirmed my previous rheumy's suspicions and I've now got an official fibromyalgia diagnosis. She also checked my joints more thoroughly than anyone had ever before and has referred me to do the 3 week in-patient rehab stay at the hospital which works at teaching you how to manage pain better. I know a lot of people who have done the same rehab course and have benefited a lot from it so I'm excited to try it, it will be about 6 months until I go in. Until then we have a plan in place though, I'm going to try another medication to try and help my sleep and hopefully my pain as well and I've been referred to 2 different occupational therapists. One is to get me a better splint for my hand, if I'm able to get a more practical and comfortable splint then I should be able to avoid surgery which could end up making things worse not better so I'm looking forward to seeing what this OT can do. The other referral is to try something called de-sensitisation because my lower back is very hyper-sensitive and has been since my surgery, it's not guaranteed to help but I'm up for trying anything! Just the day after that appointment I headed back to the same hospital for my physio session, my last physio session. I've been having physio there since about 8 weeks post op (hip replacement) to build strength back up in my hip and also my back. We reached a point on Friday though where I wasn't able to do any of the new exercises that my physio was trying to introduce so we decided to leave it at that and my care is being passed on to the pain management team instead. I'm glad to have one less appointment to go to! Generally my pain and health could have been better this week, ever since my rheumy pressed down my back and pulled my joints around my pain has been a lot worse. My pain hasn't really gotten any better recently and I find myself using my wheelchair more and more which has led to me making the decision that it is time to start looking for a better one. My current one is one that I cannot self propel, due to my pain I'm not able to push myself very far but it would be nice to have the option for when I'm going to places like the supermarket where the floor is smooth and flat and therefore easier to propel myself on. 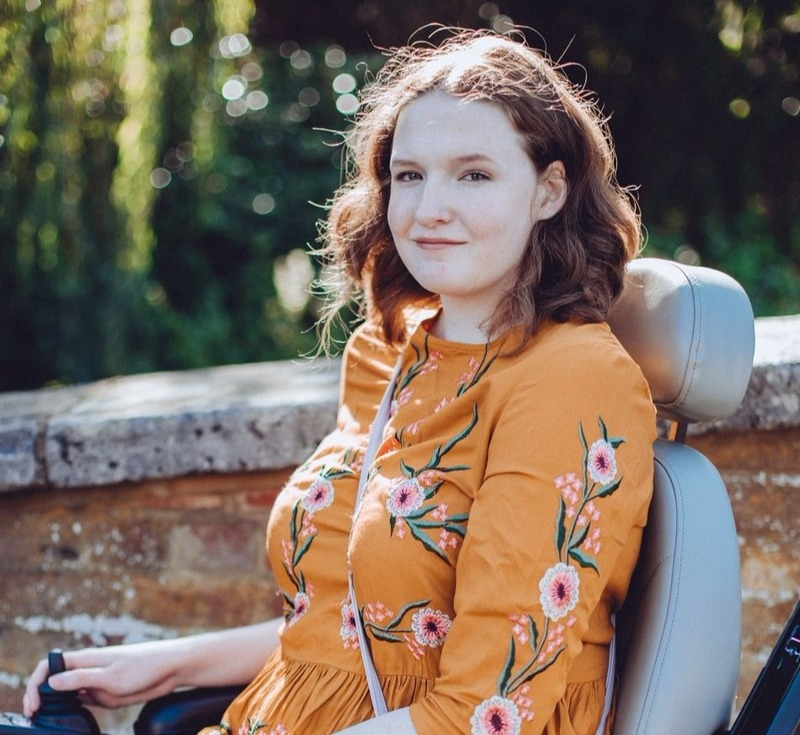 I think I definitely need to start accepting that the wheelchair is a big part of my life now and I need to stop thinking about what others might think of me. I always get strange looks when I stand up out of my wheelchair as unfortunately a lot of people seem to think that the only people that should be using them are those that cannot walk at all. This is definitely not the the case though and a wheelchair can be an amazing aid to someone's life, it allows me to do things that without it I would never be able to do. I would be stuck in the house a lot more if I didn't have it so it's definitely time to get an upgrade. I think that is it for now as especially as this has turned out to be quite a long post! I've kind of missed just sitting down and typing out a post as if I'm talking to you all in person though. I'm so happy that my pain management appointment well went and I'm looking forward to taking some steps in the right direction over the coming months. I'll definitely keep you updated on how things go!